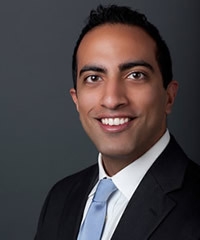 Ardy Ishal specializes in the sale of multi-family properties in Los Angeles County. He capitalizes on his superb analytical skills and familiarity with the area to provide his clients with keen insight into the real estate market and its trends. Often times, he takes seller representation to another level by negotiating full and above asking prices for his clients. These qualities, combined with Ardy’s diligence, determination, and extensive experience in client relations make him a substantial asset to BRC Advisors and its clients. Beginning his career at Marcus and Millichap, Ardy has a multitude of experience working with various banks and financial institutions in the disposition of foreclosed properties as well as non-performing notes. Property types include multifamily apartments, retail, office, hospitality, and industrial. A graduate from the University of Southern California, Marshall School of Business with a Bachelor of Science in Business Administration, Ardy enjoys playing basketball among other sports. He is also fluent in Farsi.